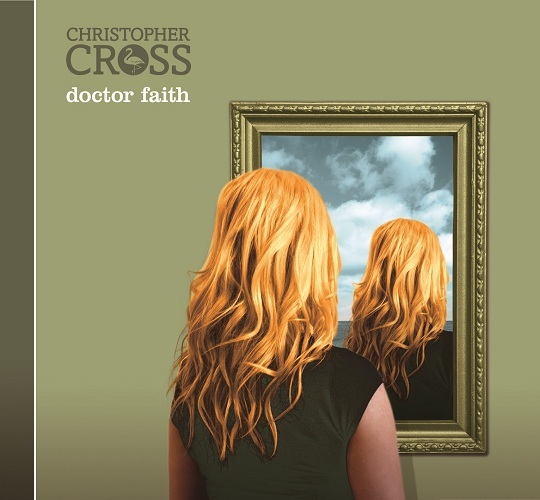 With the release on Tuesday of his first studio album in twelve years, Doctor Faith, singer/songwriter Christopher Cross believes his career has come full circle. “I did the first record with no expectation,” Cross says, recalling his 1979 eponymous debut, which spawned such defining hits as “Sailing,” “Never Be The Same,” and “Ride Like The Wind” and garnered him five GRAMMY® Awards. Additional hits included “Think of Laura” and “Arthur’s Theme (Best That You Can Do),” the latter winning the 1981 Academy Award for Best Original Song, but neither those accolades nor a string of subsequent albums stood to rival the windfall of his initial effort. Cross crafted the new album, which he produced, with deft and distinctive musicianship—guitarist Eric Johnson and vocalist Michael McDonald make select appearances—while writing with Rob Meurer, with whom he has collaborated to various extents since his career's inception. You reflect a certain amount of insecurity and vulnerability in some of the songs. For Rob and I, who write the songs, it’s about growth as men. At this point in life you do realize there is a lot of vulnerability and mortality. So it’s really a time for reflection. Songs like “Still I Resist” and “Prayin’” express our personal spirituality and struggles with our own growth and life. That’s clearly what it’s about. Was it difficult or daunting to confront those kinds of issues? No. I think a lot of it is cathartic; it’s freeing. I’m older, done a lot of therapy and a lot of self-investigation. It’s like an exorcism. It allows you to get all this stuff out and express it, be truthful and honest with yourself, and express that with other people in the hopes that they can relate to it. At this point it’s too late for pulling punches; it’s what it is…. We’re expressing a lot of real important things to us in the songs at this point, because you never know how much time you have left to express it. Before you began writing this record did you have any preconceived objective as far as what you wanted it to sound like? There’s a lot of guitar on this one. What happened in the last two or three years is I started to really get back into the guitar, buying pedals and guitars and just getting back into playing. I hadn’t produced on my own. This record I knew I was going to do on my own and so I just approached it completely from a guitar perspective, spending hours and hours in the studio just layering guitars. I didn’t really know what it would come out like in any way. I didn’t know what to expect; I had no preconceived notions. I just kind of did it pretty naturally, and I followed my instincts as I went along. In the years subsequent to that first rush of success did you ever question if perhaps you peaked too early as an artist? Well, yeah, of course. Of course you’re going to feel that way. You wish you could have a different kind of arc. I mean, let’s face it. If you asked me would I have rather had a career like Sting—where he starts out in the rock genre and moves on to pop and has a long, illustrious, very well-deserved career that’s still going based on great songwriting and records—yeah, I’d love that. 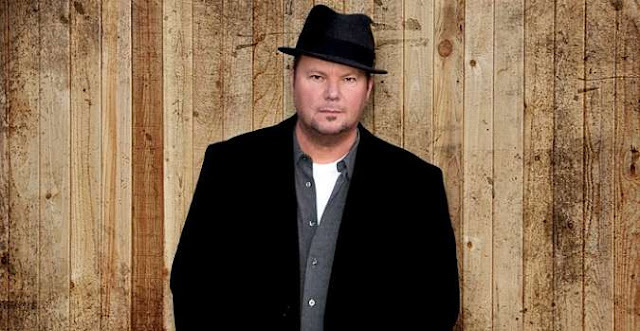 At this age, I don’t look a gift horse… If you walk out on the street and say to most people, “Do you know who Christopher Cross is?” They’ll say, “Yeah, he’s that guy who did ‘Sailing.’” At least I have a name. I can go out and tour. I’ve got some hits, and I can do music for a living and continue to do what I do. I’ve learned over the years to look at it as the glass half-full instead of half-empty, but yeah in the beginning it was very tough, because all I seemed to be doing was live down that. But I don’t look at that [now] as trying to live that down. I just try to be proud of it, and when I play the songs live it’s wonderful to see that kind of reaction and the connection with people. With the new album now complete, can you look back and tell if you learned anything about yourself as an artist? If anything, maybe I have some confidence from a producer’s standpoint that I can put a record together. I worked with Michael Omartian on my early records, who was absolutely brilliant; I learned a lot from Michael. I’m kind of like a baby bird out of the nest on my own now. So I do have some confidence that if I do follow my instincts it’ll turn out okay. And songwriting-wise, too, we had that early success and the whole meteoric thing happened. There’d been a lot of years where I put out records that didn’t do as much. All that big fanfare and pressure drifts away. Now I’m doing what I love to do for the right reasons.